FM 103.1, WMTN-LP, "The Mountain" provides an eclectic mix of programming in a non-commercial, public radio format to a 10-mile radius of campus. 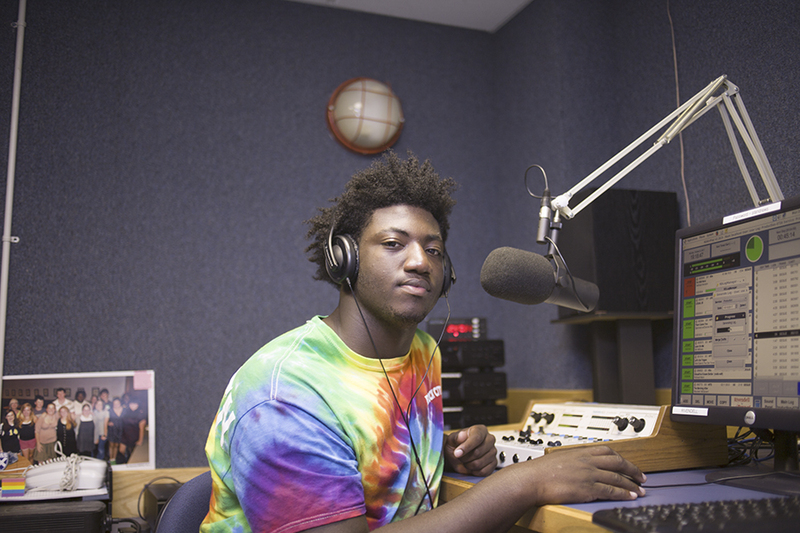 Approximately a dozen students take to the airwaves each semester with their own radio shows, productions, and music. With several radio stations in Tennessee and three surrounding states, former SAS Board of Trustee Member and alumnus Bud Walters SMA '59 is a primary consultant to this year-around, campus initiative. Walters and his suppliers donated most of the station's equipment and have provided technical assistance for this venture, which had its first broadcast on April 24, 2004. By helping to provide this opportunity at St. Andrew's-Sewanee, it is Walters' hope to spark students' interest in the broadcast field.